Advanced Markets LTD collects personally identifiable information on certain areas of the Website when users register, request publications or other information. The personally identifiable information collected may consist of a unique access ID, company or school affiliations, titles, and contact information, such as names, mailing addresses, e-mail addresses, and telephone and fax numbers. 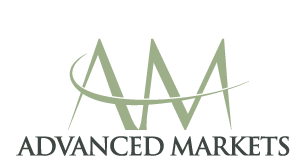 Advanced Markets LTD uses your personally identifiable information to fulfill your requests for publications or other information, to process your requests to participate in conferences and events, and to evaluate any job applications or other employment-related inquiries that you may submit. We may keep any of your personally identifiable information on file and use it to contact you for recruiting purposes. Advanced Markets LTD also uses personally identifiable information to perform statistical analyses of user behavior in order to measure interest in specific areas and articles posted on our Site. The e-mail addresses provided at registration allow Advanced Markets to send e-mail to individuals based on the areas of interest that they indicate during the registration process. If you do not wish to receive e-mailed advance notice of articles, simply do not check off any of the subject boxes on the registration page. Advanced Markets uses personally identifiable information collected from cookies and IP addresses as described below. If Advanced Markets LTD and/or any of its affiliates merges with or sells substantially all of its assets or a majority of its equity to a third party, information collected by Advanced Markets or such affiliates on their Websites may be disclosed to and owned by the merged entity or third party. Advanced Markets LTD has implemented generally accepted standards of technology and operational security in order to protect personally identifiable information from loss, misuse, alteration, or destruction. Only authorized Advanced Markets LTD personnel are provided access to personally identifiable information, and these employees are required to treat this information as confidential. Despite these precautions, Advanced Markets LTD cannot guarantee that unauthorized persons will not obtain access to your personally identifiable information. Advanced Markets LTD understands the importance of protecting children’s privacy, especially in an on-line environment. The Site is not intentionally designed for or directed at children 16 years of age or younger, and Advanced Markets LTD will not intentionally collect or maintain information about anyone under the age of 16.